Poor, poor brussel sprouts. They have such a bad wrap. And to be honest.... I have no idea why! I'm going to blame TV shows for this one, because I seem to remember most characters turning their nose to brussels. I remember being a kid and thinking THANK GOODNESS MY MOM DOESNT MAKE THOSE. 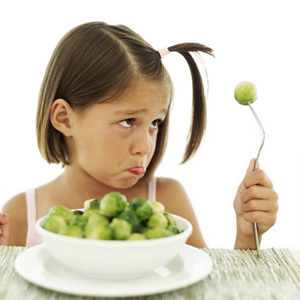 Even though I was not a picky child, the idea of brussel sprouts made me nervous. I'm 27, and I will admit - I just tried brussel sprouts for the first time about 2 months ago. In those 2 months, I've ended up eating them 1-3 times a week. Because they are DELICIOUS. And i can't believe i spent 26 years without them, thinking they were disgusting! If you think they are disgusting, you're totally entitled to that opinion. HOWEVER - I'm guessing they tasted disgusting because they were mushy and gross. And i agree, that sounds awful. When brussels are cooked properly, the taste is to die for. Plus they are hearty, filling, and full of good for you stuff. WIN! - 1 bag of brussel sprouts (mine were from Trader Joes. They also have them at Publix, Whole Foods, etc). This bag probably contains 20-25 brussels. - 1 tbsp (or less) of grated parmesan cheese. I cut the bottoms off of my brussels, then cut them in half. Throw them in a bowl with the oil, salt and pepper. Mix them around, then throw em on a large skillet. I turn the stove on HIGH and let them cook as it heats up (i also have a gas stove). For the first 3-5 min, i move them around a lot. After they start to soften up, i try to flip them all so they are cut side down. Then i grate a little parmesan cheese on top. Not too much even, but the smokeyness opens up so much over heat. They should be done within 7-10 minutes total. Once they start to get juuuuuust a little brown on the bottoms, they're done! Remove from heat and transfer into serving dish. Grate a little more cheese on top. When i'm talking about the cheese, it's really a minimal amount. it does not need to be covered in cheese for you to get the flavor! It's so smokey and delicious with just a little. Come on, give them a try! If you don't believe me that they're delicious, just let me know when you want to come over for dinner so I can make them for you. PS - to any Nashvillians reading this - try the Brussel Sprouts at Virago. They are absolutely divine. This is the easiest, and most delicious thing you can make if you're looking for a new spin on fruit, or if you're avoiding sweets! 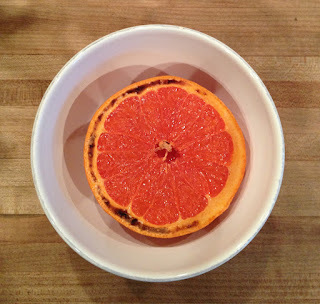 Broiling a grapefruit. Yes, it's that simple. - Optional: 1 tbsp of sugar, brown sugar, agave, honey, etc. Totally optional! - Turn your oven or toaster oven to BROIL HI. - Optional: Dust 1tbsp of sugar over the top. This is not necessary, but just adds an extra touch of sweet if you want it! Also, try with agave. DELICIOUS! Yes. Delicious. DIG IN and ENJOY! This could be breakfast, brunch, snack, dessert, side.... you name it. It goes great for any type of occasion and couldn't be simpler to prep.